As noted, CM Punk and Colt Cabana testified in their libel and slander trial against WWE Senior Ringside Physician Chris Amaan. 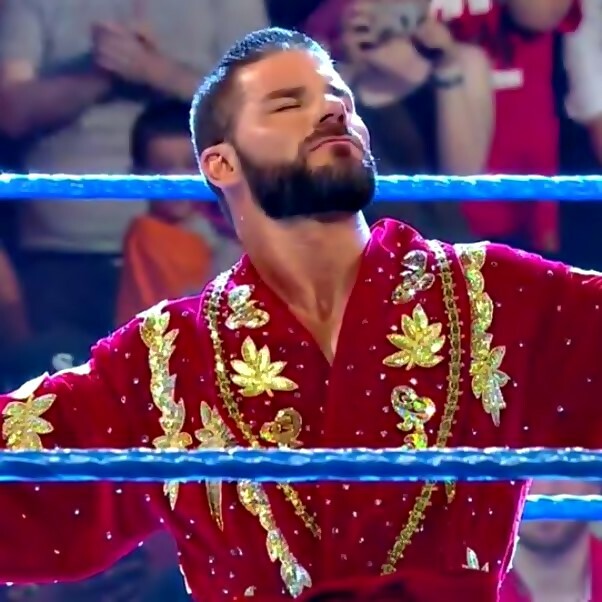 Amann is seeking $1 million in compensatory damages and an undetermined amount of punitive damages for the comments Punk made about him during an appearance on Colt's "Art of Wrestling" podcast months after his WWE release in 2014. Chicago Tribune reporter Gregory Pratt (@royalpratt) noted that AJ Lee is still scheduled to testify. Pratt also said there's a good chance the trial wraps up on Monday or Tuesday of next week. According to Pratt, Punk took the stand mid-morning. When asked by his attorney if there was anything he would change about the podcast, he said that he swore a lot on there and wouldn't today. 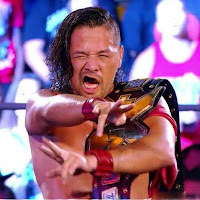 He acknowledged being bitter back then with wrestling being his whole life. He said that there were a lot of things on the podcast that he doesn't care about anymore. He did the podcast to tell his side of the story since the company had made some statements, and he wanted to set the record straight. It was meant to be his honest story with just two friends talking. Why did he do the podcast? He'd left WWE and hadn't told his side of the story, tho the company had made statements about him, "kind of like going through a divorce." "I just wanted to set the record straight for my fans." Punk talked about his health from 2013-2014 and said that "it wasn't good." He would have headaches, sleeplessness, dizzy, neck couldn't support head, nausea, cranky. Punk admitted, "I'm sure I wasn't fun to be around." After the lunch break, Colt Cabana said that Punk texted him stating that he wanted to do the podcast. They met at Punk's home within a couple of days. Cabana noted that he was not surprised by anything Punk said, saying, "I was living the situation he was going through." Cabana said that he saw the lump on Punk's back. Punk showed him the lump while wearing the camouflage shorts he wore "every day," which apparently popped the court room. Cabana said the lump was "disgusting," discolored and raised. He never thought Punk said anything dishonest and the podcast, and he did the show because he thought it was a wild story that people deserved to hear. Cabana said Punk had shown him the lump on his back while wearing camo shorts he wore "every day," which made just about everyone laugh. The attorneys then brought out the shorts. The lump, he said, was "disgusting," discolored and raised. There was apparently an argument between both parties lawyers when Amaan's counsel didn't want a video shown of Kane chokeslamming Punk through a table. The judge said that he didn't know who Kane was, and the attorney replied, "The big man without a shirt." There was a lawyer fight between Amann and Punk reps over video of CM Punk laying after going thru table. Amann counsel didn't want video to show Kane chokeslamming Punk thru table. Judge: "I don't know who Kane is." Attorney: "The big man without a shirt." The trial started on Wednesday, you can read our coverage of day one here. Regarding day 2, Nick Hausman of Wrestle Zone reports that Cabana arrived first, almost an hour early. Amann arrived about thirty minutes early and immediately took his place at the witness stand while Punk arrived last. It was noted that Punk looked good ahead of his upcoming UFC return fight but he also seemed tired, and it looked as if his right eye was slightly red, perhaps from training. Amann's lawyer asked him about how the "Art of Wrestling" podcast with Punk affected him and he said he's been "harassed" and "ridiculed" by Punk fans on social media since the interview in 2014, which took place a few months after Punk's WWE departure. The jury was shown screenshots of various Twitter and Instagram posts, including one of a fan calling Amann a "Z Pak Retard" on December 15th, 2014. 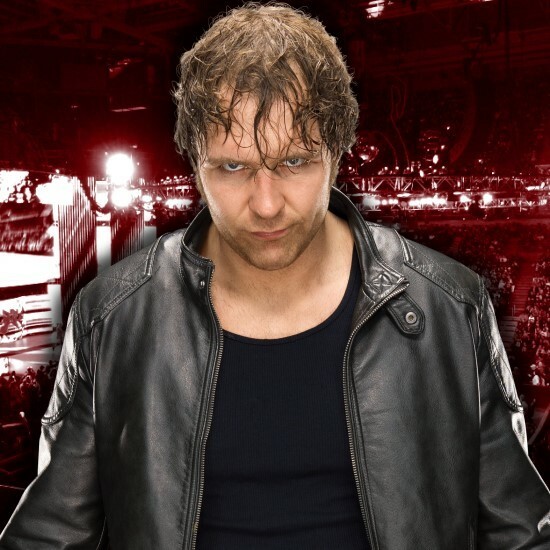 A tweet from December 1st, 2014 was also shown that featured a fan sign at RAW, which read, "Can Someone Check My Staph Infection?" 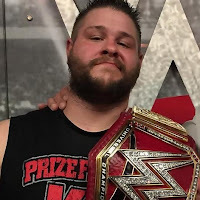 Amann said the fan sign on RAW made him "angry and embarrassed" as well as "humiliated." Amann also recalled the 2014 Royal Rumble match and how he came to Punk's side, kneeling on the ground outside of the ring, while Punk was laying in the ring at around 29-30 minutes into the match. Amann also explained the Rumble match and noted that the winner is scripted & pre-determined. He claimed he did not know who was going to win the match, who would be eliminated or anything else like that. Amann said he was sitting at ringside with timekeeper Mark Yeaton, audio technician Timothy Gang and ring announcer Justin Roberts before photographer John Giamondo first told him that Punk wanted to talk to him. Amann asked Punk, "What's happening? What's going on?" Amann said Punk then responded, "I got rocked." Amann took that as Punk suffered a head injury. Amann claimed he told Punk that he was rocked by "a clothesline from Kofi Kingston" and he was "seeing zig zags and squiggly lines." That led Amann to describe what a clothesline was to the jury. 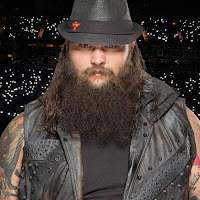 Amann continued talking about the 2014 Rumble match and said he informed Punk of a concussion and asked him to eliminate himself from the match. Amann said Punk then replied, "Nah, I am just going to collect myself and get back in the match." Amann said he then approached Yeaton and asked him to inform the "Gorilla" position backstage that Punk needed to leave the ring because he was concussed. Amann told the jury that "Gorilla" was the nerve center where the show was produced backstage. Amann claimed Punk was unwilling to listen to him. Amann did not have the same headset as Yeaton and could not speak to those in "Gorilla" but he was able to hear them through another device he had. Yeaton told officials backstage that Punk was concussed and needed to leave the match. Amann heard WWE Hall of Famer & producer Michael "PS" Hayes give the order for Punk to roll out of the ring. Amann said he did not talk to Punk any more during the match. Amann noted that he had a walkie talkie used to communicate with paradmedics and he used that to contact trainer Larry Heck. Amann also noted that the referees tried to relay the message to Punk several times over a 1-2 minute period. Hayes then gave the order for Punk to "just eliminate himself" before sending Kane out to the ring to do the elimination. Punk never rolled out of the ring on his own and was finally eliminated by Kane. It was noted that today Punk began listening more intently than at any other point in the trial so far. In regards to Amann treating Punk, a medical report from January 16th, 2014 noted that, "Phil says his shoulder has been bothering him since last Monday. No specific injury." Amann's diagnosis was that Punk had shoulder pain. He asked for a radiologist to check Punk out and ordered x-rays with four views. Amann did not prescribe antibiotics for Punk at that time and Amann claimed he only prescribed antibiotics to Punk for a sinus infection between 2012 and 2014. 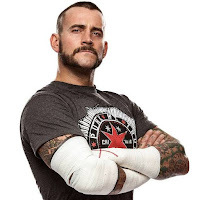 Amann also discussed a December 17th, 2013 meeting with Punk where he treated an in-ring elbow injury to Punk with ice & anti-inflammatory medicine but no antibiotics. Amann reviewed another medical report that said he evaluated Punk, without a shirt on, and did not notice any cyst on his back or buttocks. The jury also saw text messages between Punk and Amann. Punk made no mention of a back lump in a text from October 22nd, 2013 and never brought up a lump after that. Punk revealed that he was coughing like a maniac and that his ribs hurt in a December 4th, 2013 text message. Amann said any number of conditions could cause this and he did not recall anything at the time while he was waiting for lab results to come back. Punk: What was that bulls--t? Amann said Punk went on to describe a bulging eye and other symptoms. The jury saw several photos of Punk's back with no cyst or bulge at the 2014 Rumble and then took a break. We've noted that Amann remains employed with WWE and he told the court that Punk's comments on the podcast have not affected his job with the company. The attorneys for Punk and Cabana began cross-examination of Amann after the break. They asked Amann about an e-mail he sent to the "TR Team," which is an e-mail group consisting of Stacey DePolo, Medical Assistant to the WWE Medical Director, and Mark Carrano, Senior Director of Talent Relations. Amann prescribed antibiotics for pharyngitis, or a sore throat, in that e-mail. The jury also saw e-mails between Amann and fellow WWE Doctor Michael Samson. Samson joked in one e-mail to Amann, "We're talking to Punk about a medical dose pack but we have to let AJ think about it :)" This was apparently a joke about how AJ Lee (Punk's now-wife and then-girlfriend AJ Mendez) was sitting in on his medical meetings. The jury also saw a text message exchange between Punk and Amann where Punk complained about stiff ankles & sore ribs. Punk joked about feeling "lovely" in the exchange. An e-mail from Amann to Samson on November 5th, 2013 had Amann talking about how Punk felt nauseated and was suffering from a headache. A November 14th, 2013 e-mail from DePolo to Amann had her telling Amann that Punk had been fatigued, nauseated and vomiting for days. A November 15th, 2013 e-mail from Samson to DePolo and Amann said that Samson had a long talk with Punk and Punk was reporting that he had no energy, fatigue, appetite, mild diarrhea and headaches after wrestling for 3 days. It was noted that Punk appeared to be working matches as normal. Samson e-mailed the "TR Team" group on November 16th, 2013 and said Punk was still reporting fatigue and headaches, especially after taking "bumps." Amann described "bumps" as any kind of fall with contact. Samson sent an e-mail to Amann and DePolo on November 17th, 2013 and said "Punk is the same." Samson wrote Amann the next day and Amann replied saying Punk was having some symptoms of fatigure but physically he was okay with being physical. Amann then debated what the word "wrestle" means in the context of what "being physical" is in WWE and that it does not always mean having a match. An e-mail from Samson to Amann on November 19th, 2013 said Punk's condition was the same and that he was getting an MRI done for his head, plus bloodwork done. The e-mail also mentioned depression issues for Punk but Amann said they didn't have a time or place to address them. A November 21st, 2013 e-mail said Punk was still suffering from headaches & fatigue while a November 27th, 2013 e-mail said Punk was also suffering from lower back pain and a rib contusion. WWE trainer Larry Heck noted to Amann and Samson on December 1st, 2013 that Punk felt horrible and had been in bed for three days. 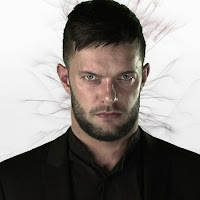 Punk sent a text message to Amann on December 2nd, 2013 at 9:30pm and asked, "My head is killing me. Why do I have these headaches?" Amann responded with a lengthy text message and explained how they will reach a diagnosis. Punk asked for antibiotics and Amann replied with a "Yes" before they went back & forth about where to meet up around the "Gorilla" position backstage. Amann denied that he was meeting Punk to give him antibiotics. Punk and Amann had another text message exchange on December 4th, 2013 and Punk said he couldn't sleep as he was coughing like a maniac and his ribs were killing him. Amann asked Punk when his flight was and if they could talk. Punk said he couldn't talk now and that he found all of this ridiculous before saying he wanted to go to a hospital when he returned home. Amann claimed he didn't know what the problem was but he wanted to help Punk figure it out. After a break for lunch that same day, Amann talked about giving Z Paks to WWE talents and admitted giving some to Punk without recording it. Punk's WWE medical record was shown and it said Punk was never prescribed medication. No medication history was recorded. Amann also said Punk never showed him any kind of skin infection and said he would have evaluated Punk if he had. Amann mentioned giving medication to wrestlers in envelopes and labeling them with the name and dosage on it. Amann also noted that he never treated Punk again after February 2014. Amann later said that he only prescribed Punk a Z Pak for sinusitis, and that he never prescribed Z Paks for sore ribs, concussions or depression. Going back to the 2014 Rumble match, Amann said he believes fans knew it was him that Punk was talking about on the podcast because he was the doctor seen on camera talking to Punk at ringside. Amann said he did not see the clothesline from Kofi to Punk that concussed him. A long rehash of Amann's ringside conversation was presented but the judge & jury seemed bored with the line of questioning from Punk's lawyer. A sidebar was taken as the lawyers left the room with the judge and this is when Punk grabbed his notebook to sit down beside Cabana. They spoke quietly before Punk returned to his chair. Cabana then walked over to Punk, leaned over and they continued talking. Amann's testimony continued and he claimed that Punk was upset & agitated backstage at the Rumble, and that he "stormed off angrily." Amann also told the court that he does not want compensation for emotional damage. He has not visited a doctor for his issues and has not sought counseling. He's not taking medicine to deal with the emotional damage. 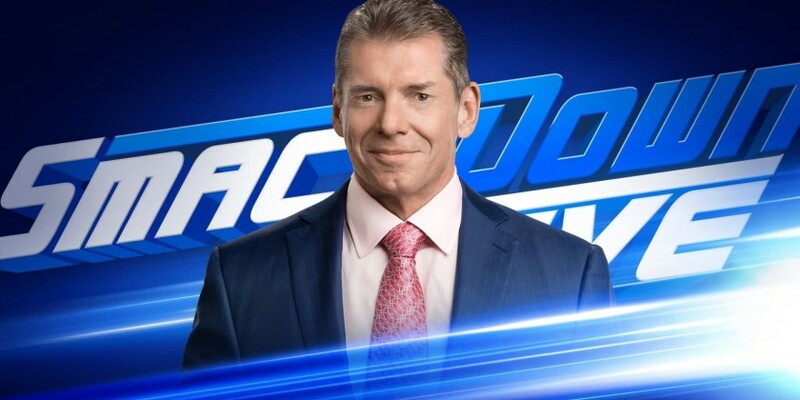 Amann reiterated how there's no workplace damages from WWE due tot he podcast and he does not believe WWE talents view him differently due to the podcast. Amann also agreed that no one in his immediate life has changed their opinion of him due to the podcast, just strangers on social media. Colt's lawyers then took over the cross-examination of Amann and it was noted that he spent most of his Thanksgiving Day researching tweets about the podcast in his home guest room & library. He learned of the podcast on Thanksgiving morning and said he was concerned & angry, and could not focus on the holiday with his family. He listened to the podcast during the late part of Thanksgiving morning while his family was arriving. Amann said he responded to just one negative tweet from a fan and said, "Your tweet is very offensive." Amann did say he was worried about what the WWE office would think after hearing the podcast. At one point they aired a pre-recorded video with Yeaton, which was done on April 23rd of this year. The video feed was dropped early on and that led to Punk softly booing in the court room. He apologized. Punk also laughed out loud when Yeaton admitted his memory was foggy, "Because I thought I'd put the whole company out of my mind." 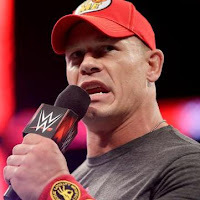 Thursday saw video testimony from several employees, including referee John Cone, Talent Relations executive Mark Carrano and Glenn Jacobs, known to WWE fans as Kane. Cone talked about how he was told to tell Punk to stay down during the 2014 Rumble match because they were sending Kane out to eliminate him due to the concussion. Punk responded to Cone relaying the message and said, "If you make me leave this f--king match, I'll f--king quit now." Cone repeated the order but Punk "pie-faced" him. Kane's video testimony was recorded on May 2nd of this year and he said Punk never made him aware of any lump or infection. He confirmed that he "illegally" eliminated Punk during the Rumble match and that brought another chuckle from Punk in the courtroom. Kane said the elimination occurred as planned but it may have happened earlier. Kane was not privy to the conversations between Punk and Amann. Carrano recalled seeing Punk and Cone talking and when asked what he observed, Carrano said, "An aggravated superstar." Carrano said Punk seemed "displeased" when he noticed Punk and Cone talking on camera. Carrano also said Punk never brought up a lump or infection but he did bring up the concussion the next day in Cleveland. Carrano said Punk was in the arena until around 5pm and that he voiced displeasure with the WWE medical staff. Punk was also concerned that future storylines were harmed by changing his Rumble elimination. Carrano said he had no knowledge of creative plans, so he didn't know what change Punk was referring to. Punk looked confused in the courtroom at this statement from Carrano. Carrano also confirmed he saw Punk without his shirt but there was no lump or infection of any kind. Carrano also said Punk was "irate" after the elimination. Cabana also testified and recalled a text message exchange between he and Punk. They texted about receiving cease & desist letters from Amann after the podcast and Punk said, "I almost feel bad I was mean." Cabana would not confirm that he knew Punk was talking about Amann and suggested Punk might have been talking about the entire medical staff. Punk texted, "But f--k him."